This is going to be a fun topic. 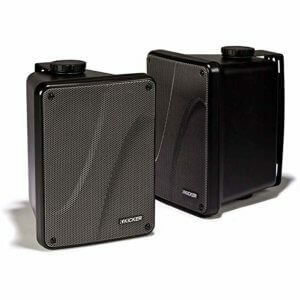 We’ve talked about backyard speakers for a majority of our content which is why we’re talking about patio speakers now. This is going to be similar to all our other “top” posts but this one is just about the best patio outdoor speakers. We didn’t want to stray too far from our normal topics like “the best Bluetooth speakers with lights” or “the best outdoor speakers”, but we wanted to give our audience a different look. Let us know what you think in the comments once you’re finished with the article. Our criteria isn’t too in-depth. 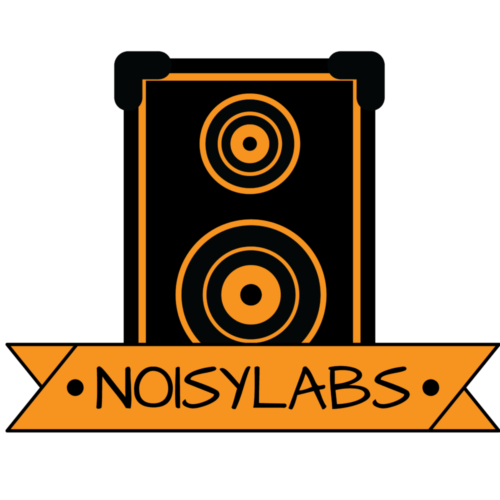 We just want loudspeakers that can stay loud at a high quality. Everything from treble, bass, and power is part of the criteria in determining which makes a great outdoor patio speaker. In addition to that is the overall design and durability. We don’t want to recommend a speaker which will break on you in a couple of months, or else why would you trust us? Other than that we might compromise a little to include a speaker which really stands out because of a cool feature here and there. Oh, and as for price, we’re not considering that too much in the criteria. We’ll mention if it’s a high-ticket item sometimes, but we all know price doesn’t always dictate value. A true multi-purpose speaker set. Do you need indoor speakers? 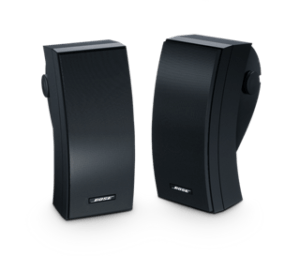 Do you need outdoor speakers? 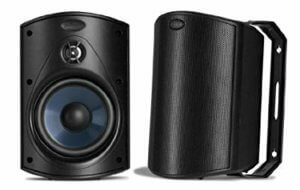 What makes a multi-purpose speaker set is its sound quality in different settings. It shouldn’t matter whether you’re indoor or outdoor, the sound quality should be great. 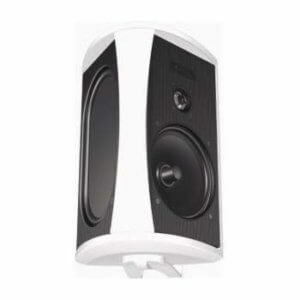 The maximum output of power for this speaker is 125 watts while its normal output of power is 60 watts. Its sensitivity is at 87 decibels which makes it suitable for the great outdoors. One downfall for outdoor speaker users is its connectivity. It’s not wireless so you’re going to have to find a way around that inconvenience. 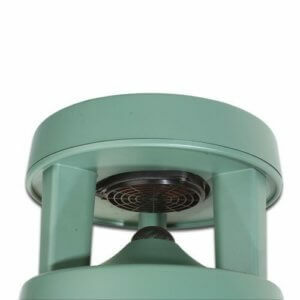 As for protection, the speaker’s material is a UV resistant resin which is inside an ABS enclosure. And keep in mind these are only SOME of the advantages of UV resistant resin. When we studied the different type of patio speakers, we noticed a lot of the popular ones have similar combinations. Great protection, high sensitivity, and large power is a necessary combination for consumers who want to enjoy. This one is perfect for an outdoor speaker because of its design. 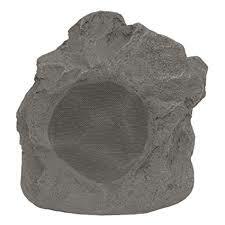 It looks like a rock and its durability is the same as a rock. Similar to the speaker before this, this one also has durable UV-resistant enclosures. Although its design is an advantage, it can also be a disadvantage. Imagine throwing a party on the patio and kids are running around. 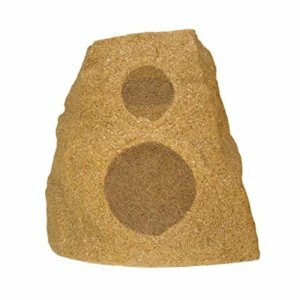 We all know kids get rowdy and get lost in the shuffle when they’re having fun, that makes it more likely they’ll try to do something with this speaker thinking it’s a rock. Once that happens, they might sit on it, kick it, or try to lift it off the ground. Come on…it’s not hard to imagine kids throwing rocks around…. But once you get past that part, there is another quality to focus on. Another cool feature is its surround sound feature. All you need is one of these bad boys to cover the patio. With its 2-way design feature, plant it in the middle of the patio, or somewhere other people aren’t and enjoy the music. The most attractive feature to the Bose 251 is its sound field. It’s able to reach wide distances thanks to its design which makes it great for the outdoors. The ability to drive sound precisely comes from the precision of the driver position. 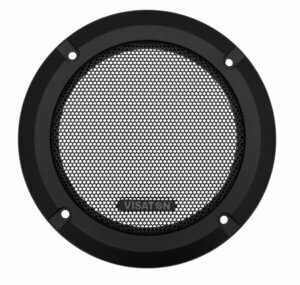 Articulated Array speaker design provides a consistent and large field. As for its design, it’s meant to be wall-mounted; when you hear these speakers, they should be playing above your head and into the crowd of people you have over. Want to know another great benefit to this speaker? If you don’t know, we’ll give you a hint. This sound is inaudible to a human being if the tone gets too far on the spectrum…. Well, if you haven’t guessed yet then it’s the bass. What makes this speaker unique is its bass in addition to its minimal distortion. So while you’re at a party you’ll be able to hear everything and everyone while hearing the crystal-clear music. Because it’s an outdoor speaker, the resistance to extreme weather is really good. It can stand up to rain, snow, salt, and more. If you’re wondering why we mentioned salt then we’re just as confused as you. hahahahahaha just joking, the salt comes from the rain. And the salt inside the rain causes corrosion on speakers given enough time. Along with its resistance to extreme weather is its weather-resistant brackets. You know, just in case you’re worried about the speakers falling on your head. We talked about this speaker briefly before. Its top features are a 360-degree surround sound experience plus its heavy subwoofers. When you’re out on the patio then this is great for a listening experience. Even if you place it somewhere like the lawn which isn’t on the patio, but close, then you’ll still hear it clearly. 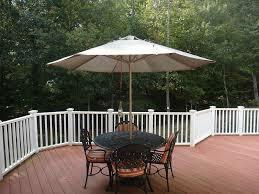 Although you can place it on the lawn, that doesn’t mean you can’t place it on the patio also. 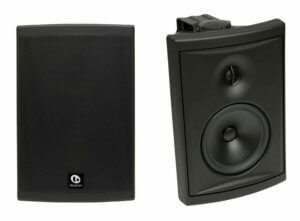 Its versatility for placement gives the advantage of determining the best sound landscape. With the speaker listed above, its placement is only meant for walls. But with the Bose Free Space 51, you can place it anywhere on the ground. Compare that to walls and your options are limited. Its design is also great for blending in the scenery. Aesthetics aren’t critical when it comes to speakers, but, it’s a nice touch. The grooves on the underside of the speaker also add to aesthetics because it hides wires for a more professional design installation. Having wires all over the place is a hazard and it’s unappealing. Nobody wants to trip over them! After the design comes its sound qualities. Let’s start with the centrally located port and what it does to help sound. With the central port, the Bose Free Space 51 maintains low frequency and the dome grille over the port helps with high-frequency tones. When it comes to pyramids, this speaker is at the top. Everything about these speakers is top-shelf. Would highly recommend to anyone considering an outdoor speaker who has a big budget. Consider it one of the best patio outdoor speakers. The Polk Audio Atrium 4 is the most budget-friendly speaker to this point. While it’s not the most advanced in terms of sound quality and design, its easy setup and sound quality for its size are solid. Although its small stature handicaps its sound, it also allows it to fit in tight spots. That tight spot could be a small corner where it’s easily hidden against rain and out of sight from people. An advantage to keeping it out of sight is it mitigates damage from other people. We haven’t touched on Bluetooth speakers at all but this one is worth it. We already know one of the many cool things about Bluetooth is portability. But, what makes this one different? You’re probably asking yourself this question because there are literally dozens of Bluetooth speakers out there. 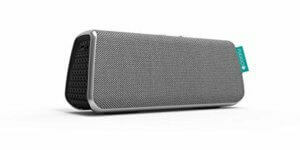 From water-proof Bluetooth speakers to budget-friendly ones, there is no scarcity to its selection. What’s surprising about this speaker is its 360-degree surround sound experience. On the first impression, you wouldn’t think it can provide that experience because of its shape, but it does because of the components it’s made out of. It has 8 drivers, a subwoofer radiator, mid-woofers, and tweeters. For all that to be inside a small speaker is an impressive engineering feat. And do you know how you benefit from all of this??? With all of those components working together you get a rich sound experience ranging from low frequency to high frequency. In case you’re wondering about its durability, its IP67 rating makes it waterproof, but don’t let that fool you into thinking it’s more durable than the other speakers on this list, it’s not more durable than the other speakers on this list. But even if your speaker falls into a kiddie pool then don’t fret, it’s still able to float on its own. This is in large part because of its design and durability. Don’t take its “waterproofness” for granted. It can only float in the water for 30 minutes before it starts malfunctioning. But you shouldn’t encounter that problem if you’re on the patio. While you’re on your patio, you can control this speaker with your voice. Features like SIRI & GOOGLE NOW CONTROL enable the user to talk hands-free and search whatever you want. For those who don’t want to commit to something more long-term, this Bluetooth speaker is perfect because it doesn’t take a heavy budget to commit. Consumers who bought this speaker speak of its solid frequency range. Although we wouldn’t consider it a weakness, its low frequency isn’t as strong as its mid and highs. Given a chance though, this speaker will fill up the outdoor space on your patio. With a max power of 150 watts, you won’t be short of volume. The components that allow this speaker to shine is the horn tweeter and its 6-1/2 inch kicker woofers. A great addition for the user is its easy installation. Whether you’re indoors, outdoors, or on the beach, you can bring it wherever you want to party. If this list were a runaway then this speaker would steal all the attention. What makes this speaker unique is its design. 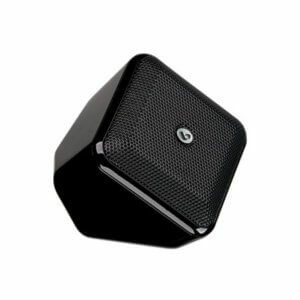 Similar to a Rubix’s cube, this speaker is small and easy to place. If this speaker is facing in one direction then you can easily flip it over so the music hits your ears. To be honest, one downfall is its size. There’s no way this can generate the wattage power, or fill an outdoor space of a patio similar to the other loudspeakers here. But what it does have going for itself, on the other hand, is its ease of placement. You can fit this in all the tight spaces. In conjunction with that is it comes with articulating mounting brackets. Its audio capabilities are brought on by a half-dome tweeter and 2 and a half-inch driver. Because of its compact size and delicacy, there’s a 5-year warranty when you purchase the speaker. There’s a tendency to lose things that are much smaller because of the cracks it can fall through. Fiberglass construction makes this bad boy completely weatherproof. The fiberglass construction also makes it acoustically inert and that means the construction acts as a soundproof insulation. This, in turn, leads to minimal sound distortion-you can say the sound quality is as sturdy as a rock. Have you ever been listening to music and heard one sound in one ear but not in the other? That’s because of the speaker channel and how the artist recorded the song. But with this speaker, you don’t have to worry about it because the dual voice coil delivers left and right channels from one speaker. One additional benefit to a dual voice coil is the options you have for wiring. You can go with parallel or independent wiring depending on your preferences. Just don’t ask us how you’d get into the speaker first because that’s another problem onto itself. As for the external design, you can already tell just by looking at it, it was meant to blend in with the background. The protective paint is great for durability because of its corrosion resistance and military standard 883. With its protective paint you get an exterior that’s strong against UV exposure (sun) and is resistant to water. Everything from durability to sound quality is high-caliber when it comes to this speaker. This is why it’s one of the best patio outdoor speakers here. Compare this to the KB6000 and you’ll notice one immediate difference. The wattage of 200 watts is greater than the KB6000’s 150. That amount of wattage power is the strongest on this list. Definitive Technology which is the brand prides itself on rich dynamic sound. This means deep bass, distinct mids, and crystal-clear highs. All that rich quality comes from a 1-inch pure aluminum dome tweeter with a 6 and a half woofer. 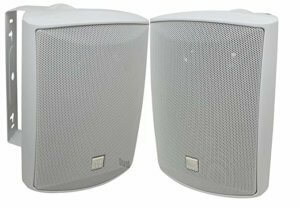 A system such as the Balanced Double Surround System reinforces sound from the woofer. Basically, whatever you hear from a lower quality speaker is amplified with this one. That’s why the frequency range it covers is good. It can double up on deep bass and high pitches. Whenever you hear your favorite lyricist on a track full of bass, one tone won’t overshadow the other unless it’s on purpose. Put another way, you can hear both the lyricist and bass. 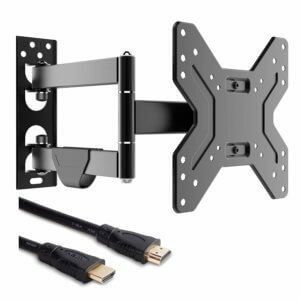 Part of the package when you purchase this is steel mounting brackets that rotate for 360 degrees. Add this to the already sound-fulfilling experience you get when you purchase this speaker. Also, as for durability, its enclosure ensures protection against extreme weather. This goes for rain, snow, lightning, and everything else besides natural disasters. Combine that with a warranty up to 5 years and you’re insuring yourself security on top of quality. Meet its older brother: the Boston Acoustics Voyager 60. Similar to other loudspeakers, its design is meant to ensure its sound penetrates the open air. Audio reproduction crosses a variety of frequencies like Definitive Technology AW6500. Their audio reproduction is able to prevent sound diffusion and focus it onto one specific area. Examples of focused areas are areas like the swimming pool or patio. You also can’t forget about the durability. The cabinets are made from UV-resistant polypropylene and use rustproof cables to ensure reliable connections. What’s also cool is the powder-coated aluminum grilles to keep internal components like the tweeter and amplifier stable. With precision audio technology and top of the line material to secure the speaker’s longevity, this speaker doesn’t have much competition on the market which is why we’ve mentioned it here.